Mullah Abdul Rauf Khadim is only 33, but he’s already been in the Afghan and Pakistani Taliban, detained at Guantanamo Bay, released from prison, become a recruiter for the Islamic State group and, on Wednesday, reportedly captured by the same group that launched his jihadist career. The Taliban in Afghanistan’s southern Helmand province captured Khadim, along with 45 other suspected ISIS members, a Taliban commander told the Afghan news website Pajhwok. The move signals growing tension in the country between the Taliban and ISIS, jihadist groups pursuing the same agenda in theory, but in practice pitted against each other by the recent ISIS proclamation of an “Islamic State” in Afghanistan too, as well as Syria and Iraq. ISIS claims primacy over other Sunni extremist groups and hopes to absorb them. Many groups have, either through force or convenience, already pledged allegiance to self-appointed ISIS Caliph Abu Bakr al-Baghdadi. However, as ISIS ramps up expansion outside of Iraq and Syria, it has met some powerful opposition, like Yemen's al Qaeda in the Arabian Peninsula -- and recently the Taliban. Part of the ISIS success in recruiting fighters and absorbing existing groups is that it is “appealing to those who want to join because they want to live in a sustainable, governable caliphate,” Harleen Gambhir, a counterterrorism analyst at the Institute for the Study of War, recently told International Business Times. That is why the Taliban poses a threat to ISIS. It is one of the only groups, other than ISIS, with a nearly undisputed territory to govern. What’s more, the Taliban has transcended the label of “terrorist group” and gained a kind of legitimacy from governing in Afghanistan -- first almost the entire country in the 1990s and then, after the 2001 U.S.-led invasion, parts of it. Earlier this year the White House, which proclaims a strict policy not to negotiate with terrorists, swapped five Guantanamo prisoners for the release of an American hostage of the Taliban, U.S. Army Sgt. Bowe Bergdahl. The swap was possible because the Taliban is an “armed insurgency,” as the White House called it on Wednesday, not a “terrorist” group like ISIS. Earlier this week, ISIS formally declared the expansion of its so-called caliphate into Khorasan, the name of a historic region of eastern Persia that now overlaps parts of present-day Afghanistan and Pakistan. Among the “state’s” new leaders are former members of the Tehreek e-Taliban e-Pakistan, the Pakistani branch of the Taliban, who were expelled in October for pledging allegiance to ISIS. 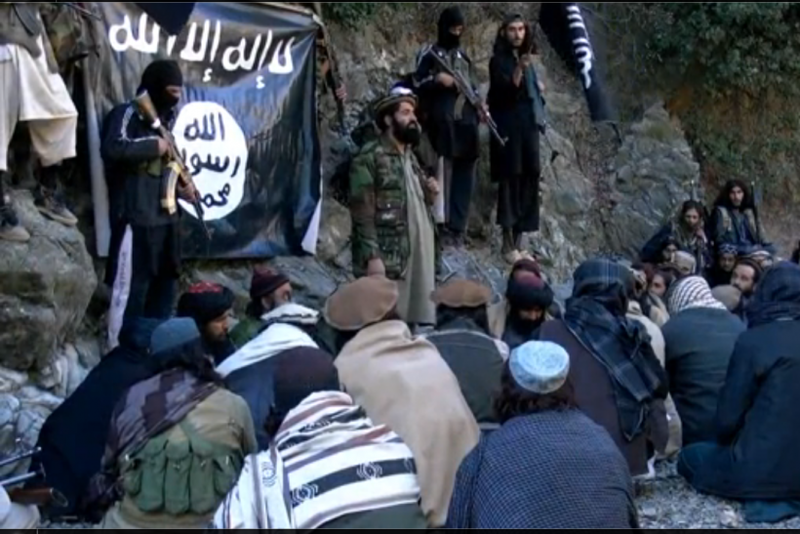 Sheikh Abu Omar Maqbool and Hafiz Saeed Khan, two TTP leaders, will lead ISIS Khorasan. Khan appeared in a video last year declaring the TTP’s allegiance to al-Baghdadi. The ISIS entity in Afghanistan includes "emirs" in charge of regions, including the Khyber region emir Sheikh Kulzaman al-Fateh, the emir of the eastern province Saad al-Emirati and northeastern emir Sheikh Mohsen. The video did not name Khadim, who reportedly defected from the Taliban and joined ISIS earlier this year. Khadim, also known as Abdul Rauf Aliza, was captured by the Americans and sent to Guantanamo Bay in 2004, accused of being a high-ranking member of the Afghan Taliban. He was released to Afghanistan in 2007, and was reportedly welcomed back into the group's Pakistani branch. He then defected to ISIS, for reasons that are still unclear. The fate of Khadim and the other prisoners has not yet been decided, but the order will likely come directly from the Taliban’s “religious leaders and judges,” the commander, who asked to remain anonymous, told Pajhwok.